A section of Bethel has long been known as "Lousetown," which some residents find insulting to the Alaska Natives who live there. But in Bethel, it's not just an unpleasant nickname with connotations of parasitic lice. It's in the municipal code. Now an effort is underway to officially change the code and rename the area East Avenue, for the road traversing that part of the community of about 6,000. A final vote is set to take place Tuesday at the Bethel City Council meeting. "I never did like it to be called Lousetown, but it sort of stuck," said 79-year-old Bea Kristovich, who lived there in her youth. 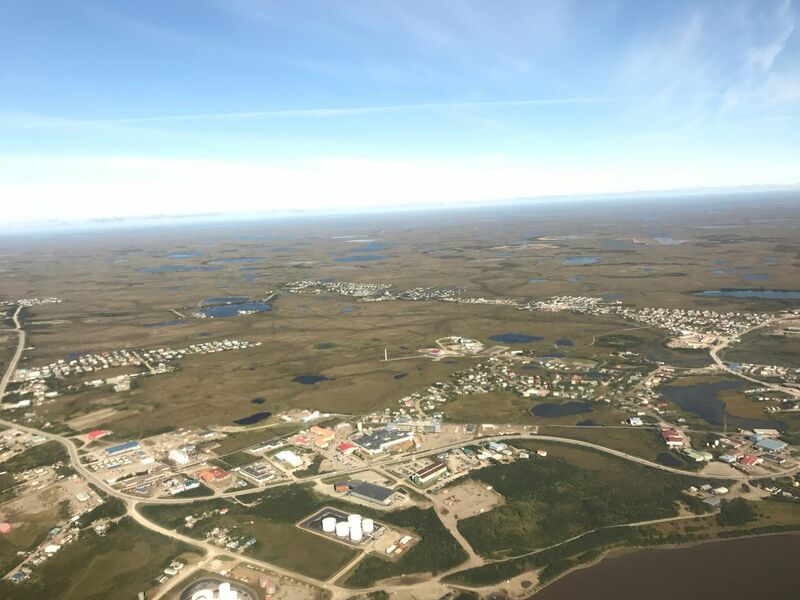 Kristovich, who is part Yup'ik Eskimo, agrees with other locals that the area should be called one of various Yup'ik names. The issue emerged when City Council member Thor Williams introduced a proposal to change the code to require visible addresses on buildings throughout the city, including Lousetown. "It's a very bad term," Williams said. "And it's a very bad reference to a part of our community." Williams didn't know when or why the area got its name, which is a common reference to it even though there are no signs in town with the name Lousetown. No one else seems to know the origin of the nickname either. Some longtime locals say it's always been known by that name, while others, such as traditional chief Louie Andrew, say it began only a few decades ago. Either way, Andrew would be happy to see the end of Lousetown as a name of the area he calls home. "It's offensive and demeaning," he said. The word "louse" refers to unpleasant or contemptible people. But it's also the parasitic insect known for infesting human hair. And in the past, lice infestations were a perennial problem in Western Alaska, noted state historian Jo Antonson. Like many others, Antonson didn't know when and why that section of town got that moniker. Granted, a reference to louse is not unique to Bethel, about 400 miles west of Anchorage. There is a Louse Creek elsewhere in the state. In Nevada, there was once a community called Lousetown. A marker for the ghost town says it was Nevada's most unique town name. "Fine springs, terminus of several wood roads, and a population of teamsters, stock and sheep men were found at Lousetown," the marker says. Now the area is home to Lousetown Road, a scenic but bumpy drive 20 miles southeast of Virginia City, Nevada, the old historic Comstock town. In Bethel, Lousetown was formally added to the municipal code in 2001, according to Bethel City Clerk Lori Stickler. Even though it's been known as Lousetown since 67-year-old Bethel resident local Bev Hoffman can remember, it's not a name she uses to describe the area because of its lice connotation. But it's not a burning issue for her, either. "It's not anything I'm losing sleep over," she said. Associated Press writer Scott Sonner in Reno, Nevada, contributed to this report.